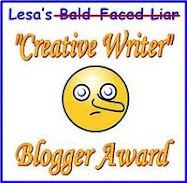 This started out being one of those "let-me-count-the-ways" blog and then I realized it would probably take me a dozen blogs to explain why I love writing cozies. (I feel the same way about reading them, in case you're wondering. 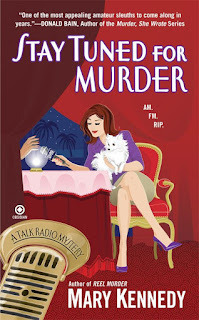 I'm an avid cozy reader, keep up with my favorite series and am always on the lookout for new ones) I also subscribe to several book review sites and the reviewers do a wonderful job, alerting me to new releases. Here are just a few reasons I love writing cozies. I can set the books any place my heart desires. 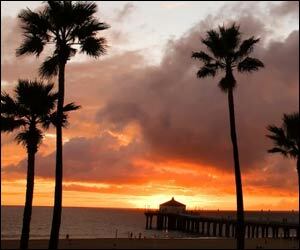 And south Florida seemed ideal because Dr. Maggie's mom, Lola, is a fifty-something actress, always looking for "her big break." South Florida is known as "Hollywood East" because of their thriving film business, so I figured that would give me some plot opportunities for Lola Walsh. 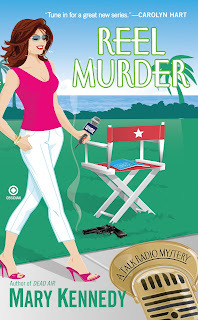 In fact, book two in the series, REEL MURDER, revolves around a murder on a movie set. I can investigate subjects that interest me. Almost any topic is okay in a cozy, unless it's really gory or upsetting. 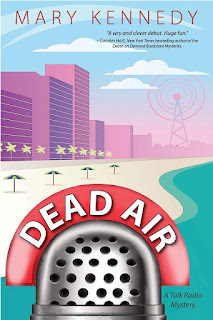 I found myself interested in "phony psychics" and decided to build a plot around Chantal, who comes to Florida, trying to take over Dr. Maggie's radio show. I can create fun, vibrant characters who do things I'd like to do. I always thought it would be fun to start a Dream Club, for example, so I created the Dream Club Mysteries. 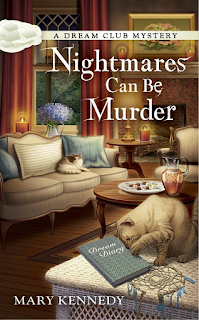 In the first book, Nightmares Can Be Murder, Ali and Taylor Blake host a dream club in Savannah that meets once a week. A dream club is like a book club, except instead of discussing books, you talk about and analyze your dreams. The group quickly discovers clues in their dreams that unmask killers! Real or just a coincidence? I leave it to the reader to decide. 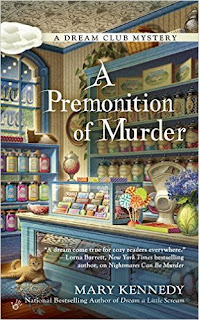 As the series continues, the sisters become well known--not only for Oldies But Goodies, their vintage candy store, but for their work with the Savannah police. 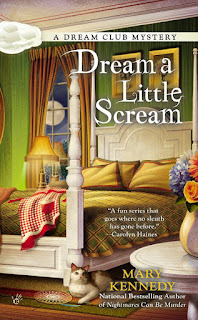 In Dream a Little Scream, a celebrity chef is murdered during a book signing, and in A Premonition of Murder, a reclusive southern heiress is found dead in her mansion. I hope you've enjoyed this little look at cozies and I'll write more next week! 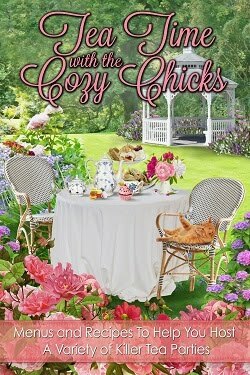 Be sure to sign up for our Cozy Chicks blog and you'll get an e-mail five days a week from one of our Cozy Chicks! 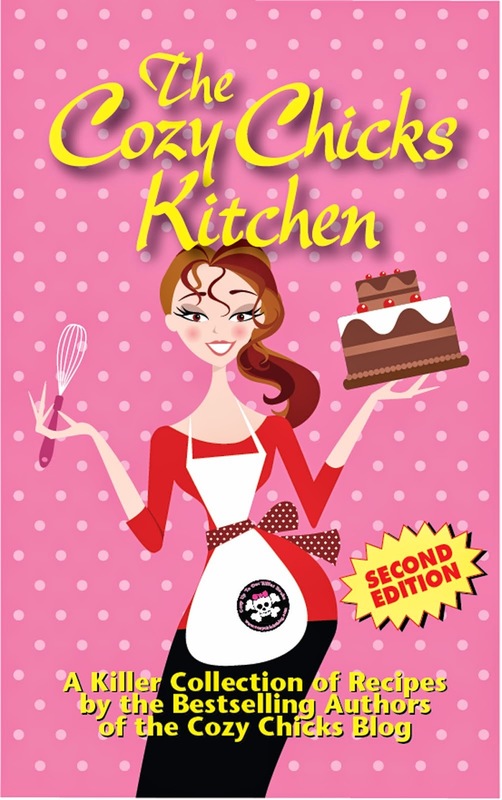 Labels: cozy chicks, Mary Kennedy, why I love writing cozies.